← EMC World 2013 – Best one yet? This entry was posted in Automation, EMC, SRM, vCenter, vCenter Orchestrator, View, VMware, VNX, vSphere5 and tagged fault tolerance, virtual desktop, virtual machines. Bookmark the permalink. 2 Responses to VMware View Failover Automation – Solved! Cool stuff! 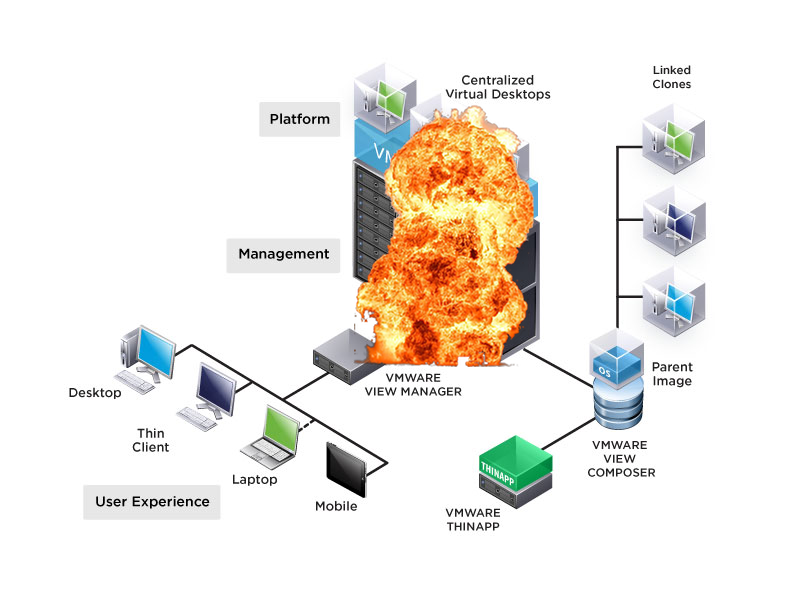 (And a very nice burning datacenter in the first picture…) Keep Orchestrating!